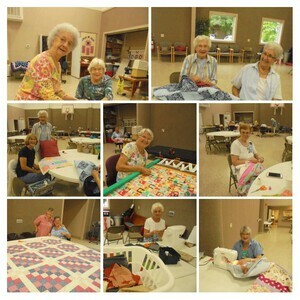 These are a wonderful group of ladies that meet on Wednesdays to sew together beautiful quilts to be used for a variety of purposes. 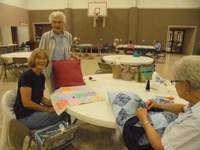 The main event is the Missouri Baptist Children's Home auction, held in Raymore, MO. Missions and Fellowship are "Alive and Well" at The First Baptist Church of Archie, Missouri pictured is our "Chat & Sew" Wednesday Morning Group, Spouses and staff.